The only supposed portrait of Jan Vermeer. Johannes (Jan) Vermeer was a Dutch artist who created some of the most valuable and remarkable paintings in the art history. Although only about 36 of his paintings survived, these works are remarkable for their purity of light and form, qualities that convey a serene, timeless sense of dignity. Like most artists of his time, he started off his career as an artist by painting biblical scenes, but his most valuable artworks show the daily life of people in interior settings. According to Arthur K. Wheelock, “technical examinations have demonstrated that Vermeer generally applied a gray or ochre ground layer over his canvas or panel support to establish the colour harmonies of his composition”. For example, in Woman Holding a Balance, it occurs at the fingertip of the hand holding the balance, thus enhancing his overall philosophical message. 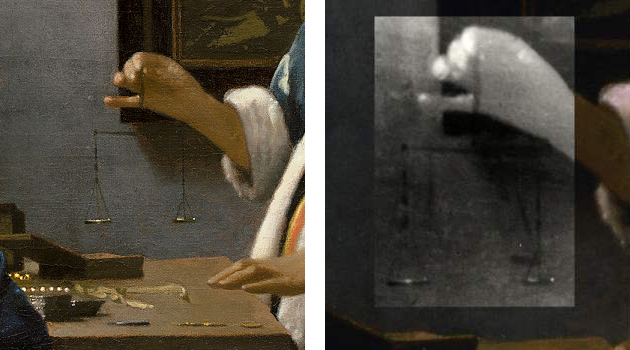 Infrared reflectography reveals that Vermeer changed the position and increased the size of the balance. Such attention to detail explains the small size of Vermeer’s creative output, even during his most fertile period. He must have worked slowly, carefully thinking through the character of his composition and the manner in which he wanted to execute it. 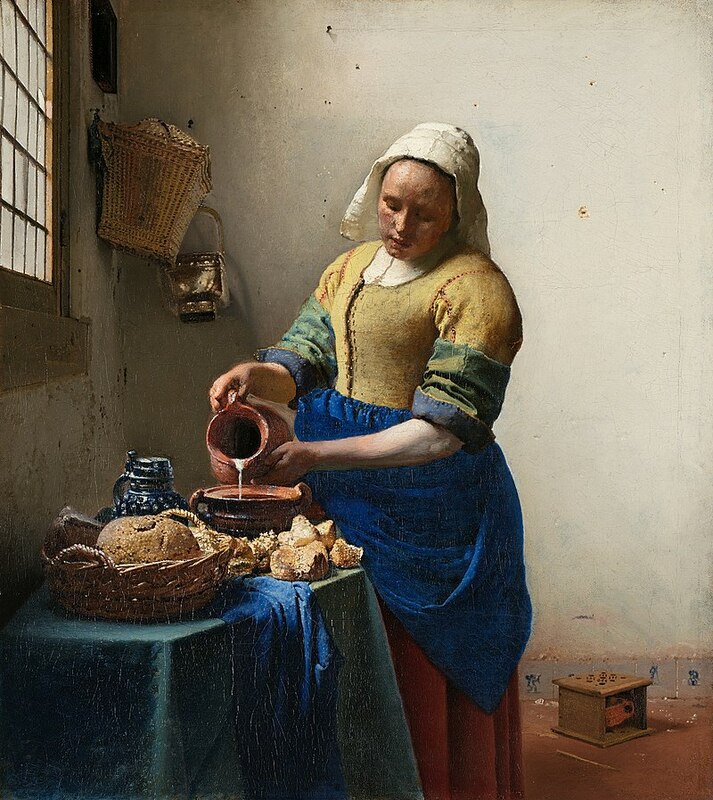 Another one of Vermeer’s masterpieces is The Milkmaid. I find it very visually pleasing because of the feeling it conveys. The viewer can almost feel the weight of the weight of the woman and the table. 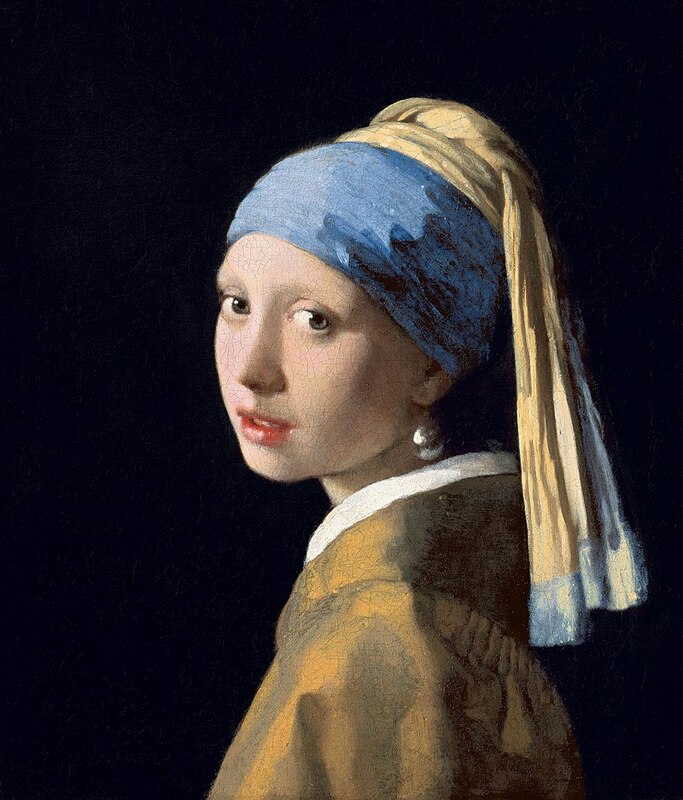 Vermeer’s most famous painting is Girl with a Pearl Earring. It depicts a European girl wearing an exotic dress, an oriental turban, and an improbably large pearl earring. I love this painting because of its pleasing colour scheme, and the intimacy of the girl’s gaze towards the viewer.